Following last week’s washout against Durham City, Leas were leapfrogged by Horden and now sit second bottom. However, it’s tight at the bottom with Bill Quay now being pulled into the mix following their heavy defeat at Horden. With seven games remaining, Leas know they need to pick up points if they are to avoid the drop come September. Captain Andrew Potts is still on holiday and misses tomorrow, therefore Nathan Ullah continues to deputise. The vice captain is remaining positive, stating there is still a lot of cricket to be played. Ullah said: “We have seven huge games to put in some big performances. “There are no easy games, but we’ve shown that on our day, we can compete with anyone. “Tomorrow will be tough, but we have to believe”. 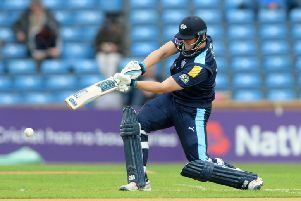 Ullah is without batsmen Owen Peterson, Alan Beadle and all-rounder Grant Parkin for the clash, but there are welcome returns for Lewis Surtees, Ryan Hale and Chris Nichol. The Second XI travel to Easington and will be without Peter Sowden. 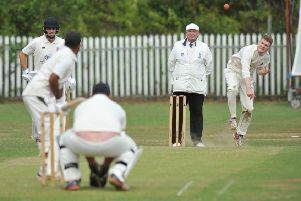 Having recorded a good win against Durham City last Saturday, Sid Corner’s side will be looking to maintain momentum.